I have been nominated by the lovely Jess over at Jessieonh. - In a new blog post, link and thank the person who nominated you. 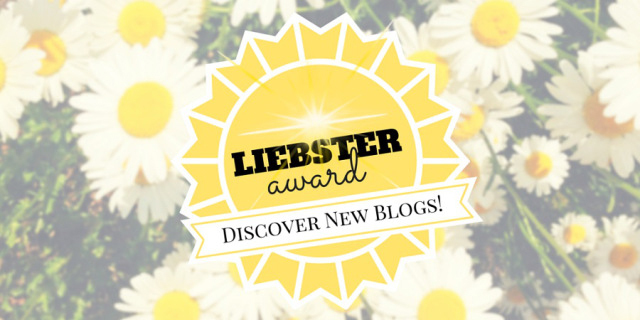 - Include the Liebster Award sticker in the post. - Nominate 10 other bloggers who have 200 or fewer followers who deserve the recognition (you can use Bloglovin’ follower counts). - Comment on those bloggers’ websites to inform them that they have been nominated. - Answer the 10 questions asked to you by the person who nominated you. - Create 10 questions for your nominees. Very cliché but my phone. I very recently got the rose gold 6s and safe to say i'm OBSESSED. I'm always on my phone either reading blogs, watching youtube videos or simply messaging my friends - i'm such a sucker for social media. 2. Do you have any christmas traditions and if so, what are they? Every year around christmas time me and my family take a day trip to London! We look at the lights and visit all the big stores such as Selfridges, Fortnum and Mason, Liberty etc to see all the christmas decorations/finish our christmas shopping and not forgetting we always finish the day off with a lush meal! I'm from a little town in Hertfordshire called Bishops Stortford. 4. What is your favourite hobby (besides blogging)? Over the passed year I've become obsessed with going to the gym, so i'd say thats my hobby! Just like a lot of other girls i'm going to have to say Selfridges! I could literally be in that store all day long, there's absolutely everything in there so it never fails to amaze me. I think anyone who knows me would be able to answer this for me - Harry Styles. Most of my spare time is spent reading blogs/reviews on products/watching youtube videos and I just thought it would be a lot of fun to have a blog of my own and SO many of my friends were telling to me do it as well so I just thought why not! 8. Coffee, Tea or neither? As much as I love christmas time and being all snug with candles and a fire whilst it snows outside, I'm gunna go with sun. I'm a typical girl and i'm absolutely terrified of spiders/wasps/snakes, but to be completely honest small spaces get me the most. What made you start your blog and what inspired the name of it? What's your fave blog post you've written? If you could have a 3 course meal consisting of anything you wished for, what would you choose?